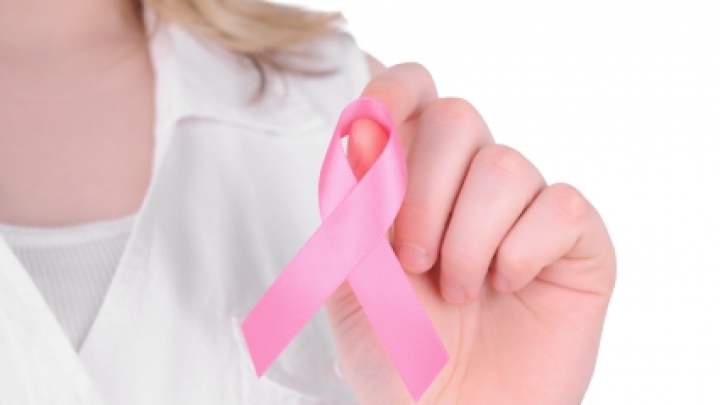 The understanding of breast cancer is entering exciting new territory. Science knows more about the most common cancer in women than ever before - who's at risk, how it can be prevented, how the cancer develops, how it can be treated and how its spread can be stopped. Promoting these advances is what the Era of Hope conference is all about. This year, 1,600 experts and advocates gathered to share the best and brightest research into several areas of interest to women around the world - each of whom has a 12 percent chance of developing the disease at some point in their lives. dailyRx.com considers what was discussed at the meeting to be so important, that it is producing a multi-part series on this conference, which is hosted annually by the Department of Defense Breast Cancer Research Program (BCRP). In Part 1, genetic risk factors were discussed. This installment looks at recent discoveries that show how breast cancer risks may be eliminated before birth. What mothers-to-be consume as her unborn child is growing inside the womb has a huge impact on the baby's overall development. That's well known. Researchers now believe that a mother's diet may even play a role in lowering her daughters' breast cancer risks, possibly preventing her unborn child from ever experiencing the disease. Diets that are high in Omega 3 fatty acids, certain nutrients and vitamin Bs are key to this promising possibility. Consuming a diet rich in Omega 3 fatty acids during pregnancy and while breastfeeding may alter the expression of certain genes as the baby develops in utero and later during breastfeeding. This is the finding of researchers at Marshall University who looked at changes in the mammary gland gene expression in fetal mice. The offspring of mice that consumed a diet with canola oil, which is high in omega 3 fatty acids, had lower risks of mammary gland cancers compared to mice that consumed corn oil, which is high omega 6 fatty acids. Principal investigator at Marshall, Philippe T. Georgel, Ph.D., says this study shows that it's wise for pregnant women "to be mindful of what they eat" because their diets may encourage genetic changes that can affect the development of the baby, both in the uterus and later in life. More study is needed and planned to examine this relationship. Scientists are now seeing an association between the complete development of a mother's mammary glands and reduction in breast cancer risks among her unborn daughter(s). So-called lipotropic nutrients (methionine, choline, folate and vitamin B12) are thought to increase methyl metabolism which stimulates mammary gland development. This action produces a genetic change in the mammary gland of the fetus and reduces breast cancer risks. Chung S. Park Ph.D. of North Dakota State University North Dakota State University designed and conducted the study that involved feeding 45 mice different types of diets. One of the groups received more lipotropic nutrients. "Our research group has recently found that feeding rats methyl-supplemented diets during pregnancy reduces breast cancer susceptibility and tumor growth in the female offspring," Park said. He continued, "Although the mechanism contributing to this phenomenon has not been fully established, this result warrants the future development of prenatal dietary strategies to reduce and possibly prevent the development of breast cancer in the daughters of women at risk for breast cancer." Captain Melissa Kaime, M.D., Director of the Congressionally Directed Medical Research Programs (CDMRP), under which the BCRP is managed, calls this research "exciting and intriguing." Being able to reduce the risk of breast cancer and possibly even preventing its development before a child is born is what she calls "an incredible notion,” Dr. Kaime says. In our next installment of this multi-part series, we'll look at novel ways of delivering drugs to treat breast cancer.